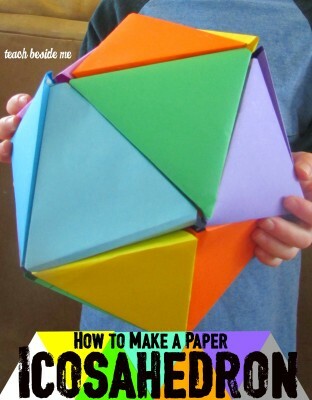 I have always been fascinated with origami and other paper folding crafts. 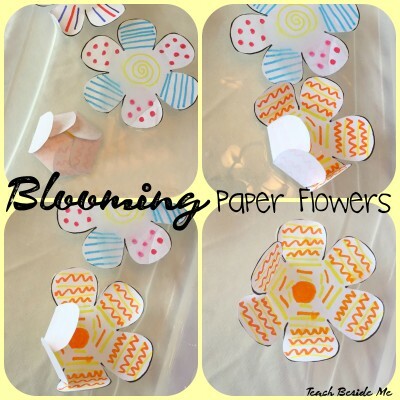 I think it is so neat that from just a piece of paper you can make so many different things. 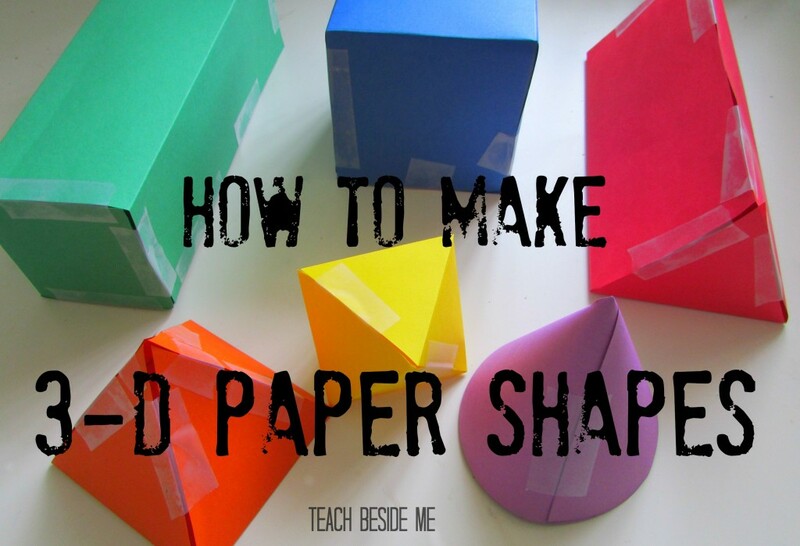 Today I want to share with you how we made some 3D paper shapes. 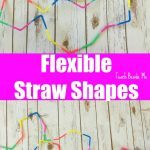 This would be great for geometry or just to practice the names of shapes. My kids thought these were really cool. They played around with them for a while. 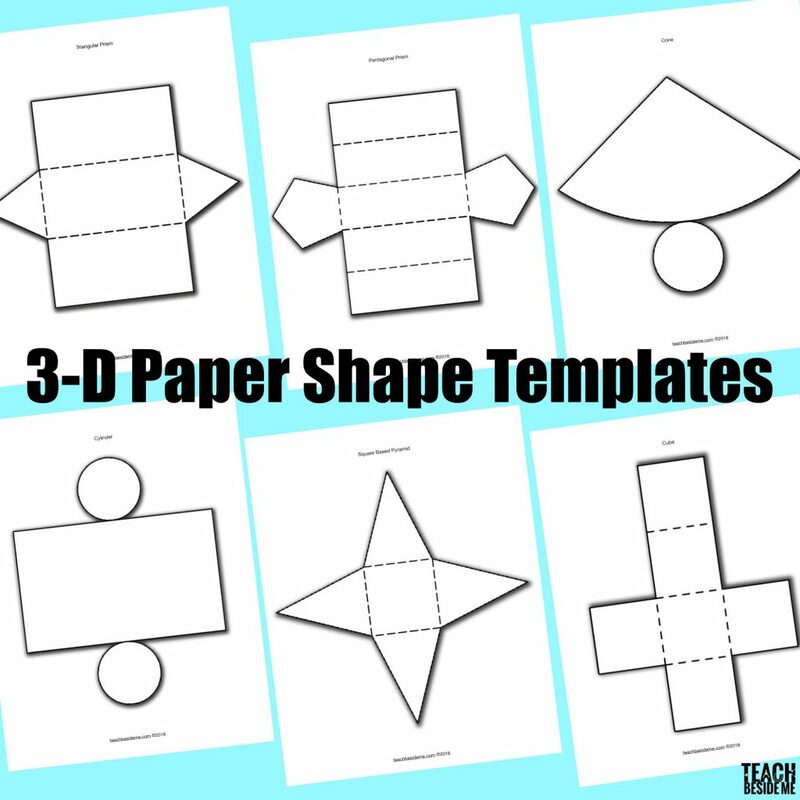 Then they tried making lots of other kinds of shapes out of paper. They were pretty fascinated by it all. 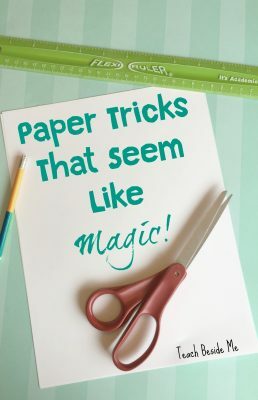 All you need to make these paper shapes is paper, scissors, a pencil, a ruler and tape. 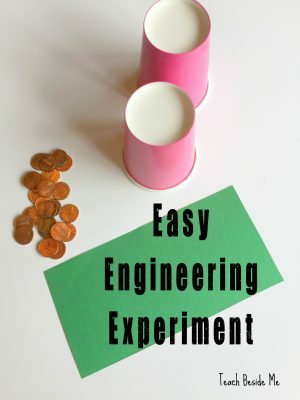 I also have printable templates, if you want a simpler way to make them! They are available in my shop. 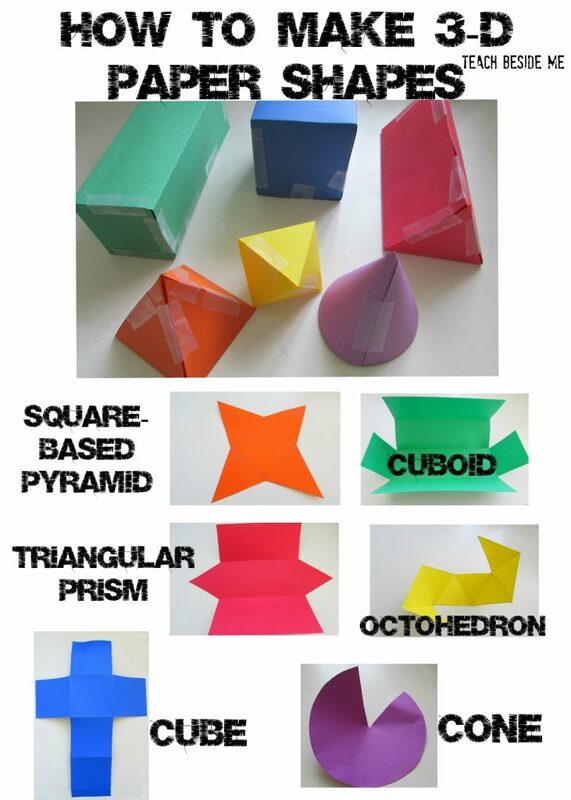 We did 6 different paper shapes: Cube, Cuboid (rectangular), Cone, Squared-Based Pyramid, Triangular Prism (tent-shaped), and Octahedron (Diamond-like). 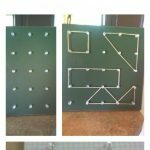 For each of these I used an 8 1/2 x 11 sheet of paper. 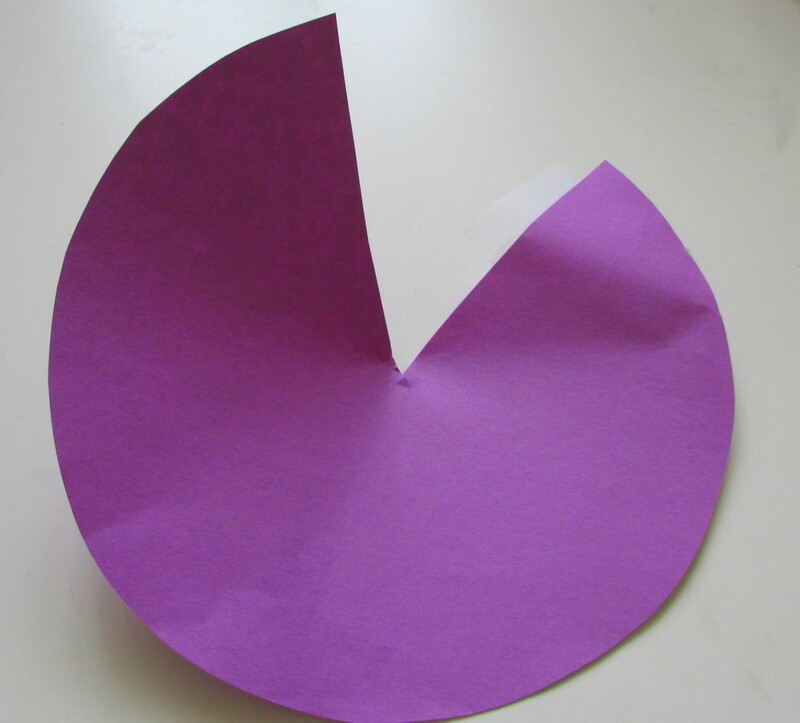 For the cone, I traced a large circle, then cut a wedge out of the circle. Wrap it up and add a piece of tape to secure it. 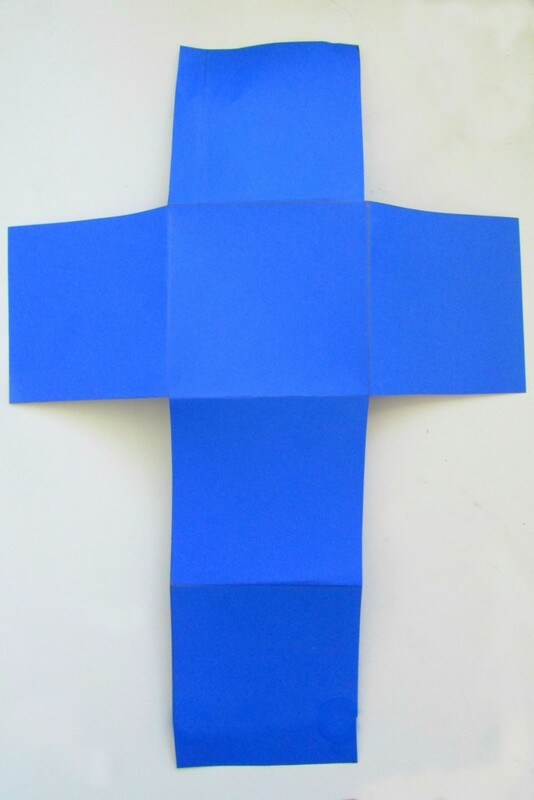 For the cube, you need a cross-like shape with even squares. Mine were 2 1/2 inches per side. You need four squares going down and three going across. 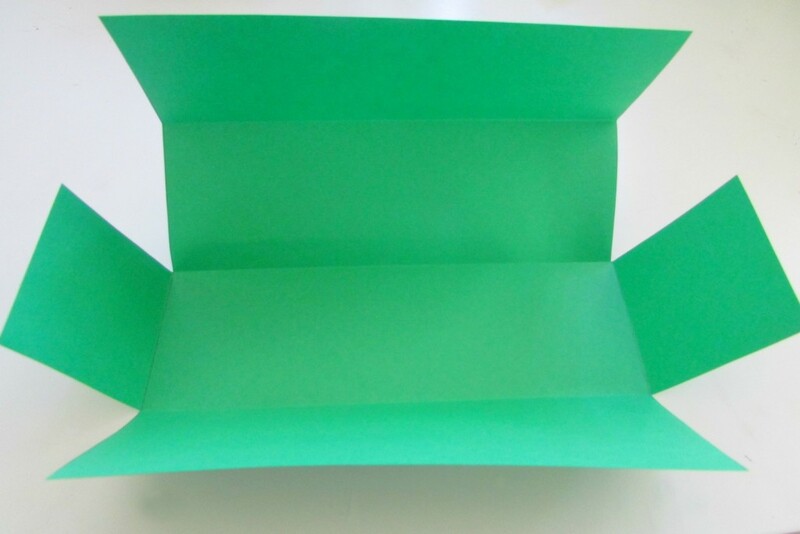 The Triangular Prism is made by dividing the paper into thirds. 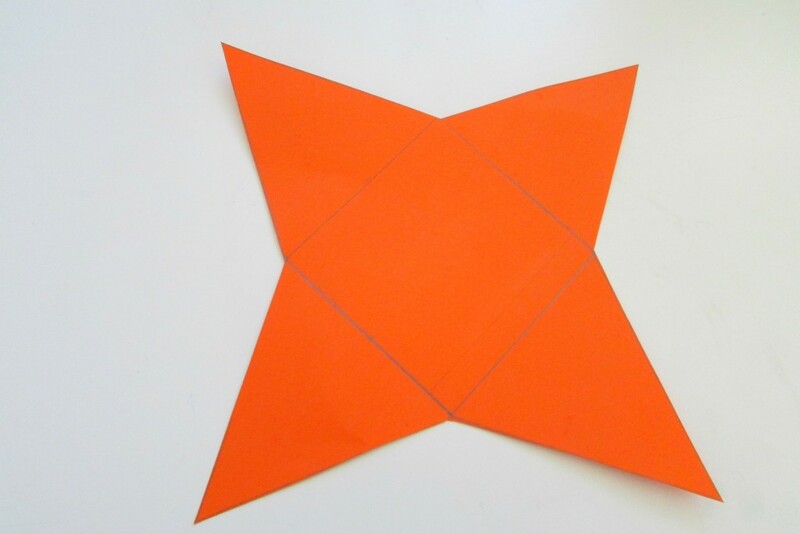 Then in the center section you will make your triangular cut-outs. I measured the sides of my paper sections to make the triangle side the same length. It ended up being 2 3/4 of an inch per side. A Square-based Pyramid is started with a square and then triangles coming out from each side. Mine is about 3 inches per side. You have to make sure each side of the triangle is equal to the sides of the square. 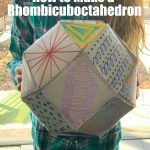 For the cuboid, I divided the paper into fourths. 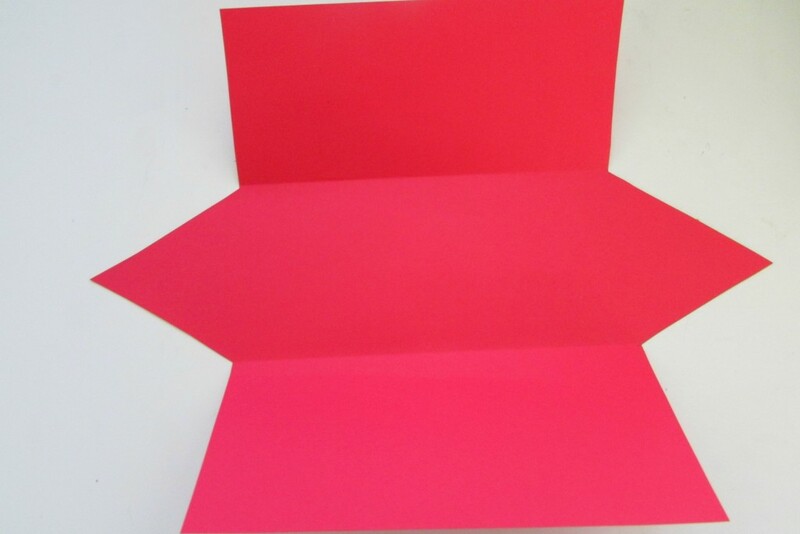 Then one of the sections needs a square cut-out. I made this by cutting into the other parts and removing the sections. 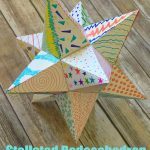 The octahedron was the trickiest. 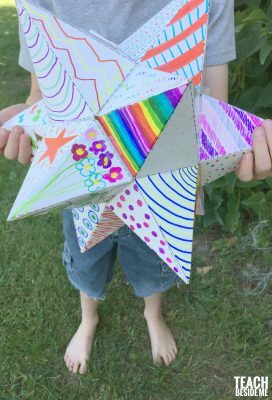 It is a series of 8 equilateral triangles. Six of them are in a row facing opposite directions The other two are hanging off the ends. Mine I made 2 inches per side, but it ended up very small. You could probably fit a 2.5 inch one on a paper. 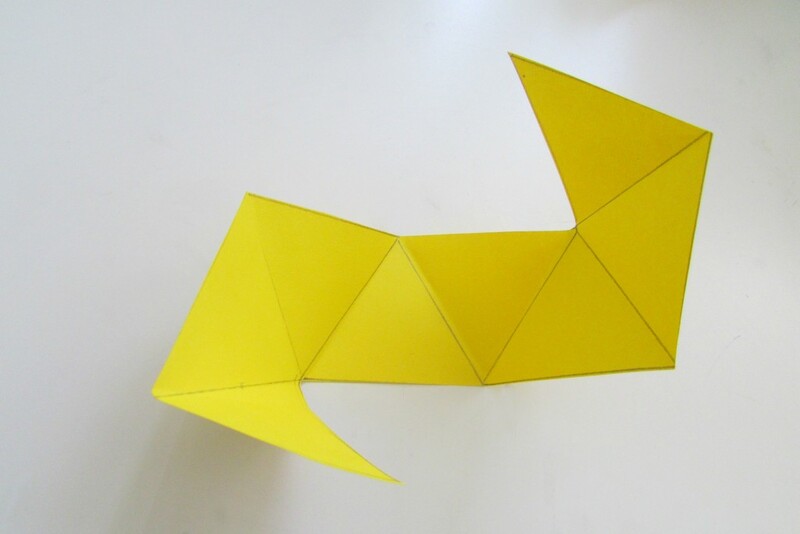 To fold this up, you just start folding the triangles and it sort of just bends into the shape. 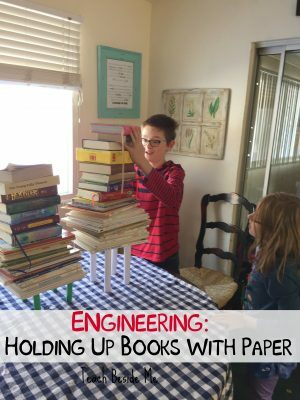 Add tape to keep it all together. 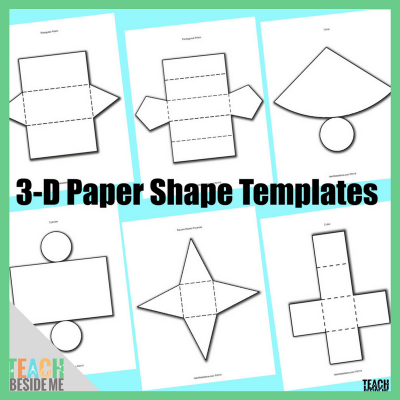 These 3-d paper shapes would be fun hanging up by a string as a decoration, too! This is available in my shop. 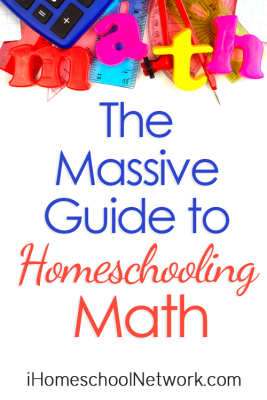 This is part of the iHN Massive Guide to Homeschooling Math! So glad you found me & that I could help! 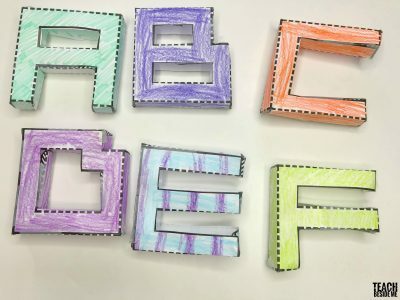 hi, Thanks so much for this….. remembered doing it when i was a child but couldn’t exactly remember how to put them together. My six year old needed this for school. Thanks again. Thanks, Quite useful for my kids.